What’s included in the barn hire? * We have 200 gold chairs with red velvet seats and backs on site. As of the end of January 2019, we will have 120 lime-washed Chiavari chairs. Should these not match your style, other chairs may be hired. ** You will need to bring your own or hire games through a supplier. *** Additional charge for logs. NB inclusive packages are available for winter and midweek weddings. Please see our prices and packages page for more information. For the wedding breakfast we can seat a maximum of 200 dining guests. This will result in tables being spread across every part of the barn on the ground floor. Estcourt alone can seat 80 dining guests. For the evening reception we can accommodate up to 350 guests however for a reception of over 250 guests additional bar facilities need to be considered. Saturdays during May – September & after 13th December. Monday – Thursday and Sunday outside of peak season, our minimum numbers are 50. Fridays and Saturday January – March and November – 13th December are covered by our Winter Package with minimum numbers of 60. Access to the venue is from 9am on the day of the function. This may be extended subject to availability. The barn venue must be vacated by 10.30am on the day of departure. Can we hire our own chairs? Please note our chairs are currently RED AND GOLD BANQUETING CHAIRS – we will have the white wooden chairs as standard as of the end of January 2019. Is there a choice of the caterers? We have 4 fabulous caterers to choose from. Please see our food & drink pages for more information. Unfortunately not. We have a selection of amazing caterers that all offer a variety of menus to exceed your expectations. They have not only been personally selected by the owner for their food but also their exceptional front of house managers. All of our caterers provide table linen including linen napkins, crockery and cutlery and will dress your tables for the wedding breakfast. They also supply a team of experienced uniformed waiting staff and chefs to serve your guests as well as a front of house manager who will manage and run all catering aspects of your day. The front of house manager can act as your toastmaster, or assist a member of your party with the making of any announcements. Yes, candlelight looks stunning throughout the barn so as long as you use non-drip candles with bases or holders we welcome the use of candles. Yes, natural petals only please. Yes, there are a couple of churches in the local area. St Mary the Virgin church in Tetbury is a beautiful 18th Century medieval church which is part of a benefice together with the parishes of Beverston, Long Newnton and Shipton Moyne. Should you want more information please visit their website www.tetburychurch.co.uk. We kindly ask for a £500 deposit at the time of booking which secures your favourable date. Once the date has been confirmed we will send out Terms and conditions for you to sign and return to us. Deposit payment is accepted in the form of a debit card, cash or bank transfer. Yes, it’s quite a popular choice here at the barn. We charge £9.75 per adult corkage fee. Our corkage includes the receiving of your delivery at a pre-arranged time, chilling, service, provision of glasses and re-boxing of any leftovers for your collection. Corkage applies to Sparkling wine or Champagne for your reception drinks, Wine during the meal and Sparkling wine or Champagne for toasts. All drinks from the end of the meal must be purchased from the bar. Please note that Pimms, spirts and beer must be brought through the barn. Will guests be able to pay by credit/debit card at the bar? Yes! Many guests like to set up a tab so they don’t have to carry cash with them as long as this is paid at the end of the evening. A minimum spend of £5 is required. Is there a noise limit for our band or DJ? Yes. Our sound limiter allows music up to 100 decibels. Do you have facilities to play background music? Yes. We have a built in music system that is compatible with most music devices and connects via a standard auxiliary cable. You are welcome to use it for the ceremony, drinks reception and wedding breakfast then it’s over to the band or DJ! Is there heating in the barn? Yes, the barn is fully central heated and has underfloor heating in Estcourt making it lovely and cosy in the winter months. Does the barn have disabled access? Yes, the barn has disabled access on the ground floor with plenty of wheelchair ramps and a disabled toilet. Due the barn being a grade 2 listed building we do not have lift facilities to the first floor. Please speak to the event coordinators should you have any further questions around this. Yes. Due to local livestock and our own donkeys & pigs we ask that fireworks are let off no later than 10pm. Please ensure that you give us plenty of notice so we can inform local residents. We also ask that you use Distant Thunder for your fireworks. Are we allowed to supply sweets for a candy table? Absolutely! We love a good sweet table or candy cart as long as you share some with us!!! Are we allowed to have an ice cream van? Yes, although we do ask you contact your chosen caterer to check they are happy for you provide it and will require all health & safety and food hygiene document’s. Unfortunately not, however we do have a beautiful little cottage known as Kiln cottage which is often used by the couples. Could a marquee be considered? Unfortunately this is not something we permit. 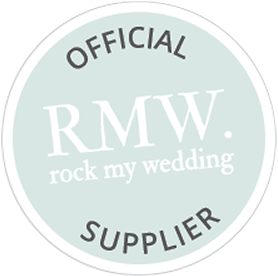 Can you recommend suppliers such as florists, DJ’s and photographers? We have a whole variety of suppliers listed on our supplier’s page although these are just a few of our favourites. Are we allowed to have Chinese lanterns? Unfortunately not – we are surrounded by farmland and livestock, as well as the cottages and barn. It has also been banned by environmental health. Is there a table plan stand provided? Yes. We have 2 quite large easels you are welcome to use free of charge. Plenty! If every bed is slept in we have up to 90 available on site across, 10 cottages, 12 B&B rooms and the Tythe House. Please see our accommodation pages for more details. We regret pets are not allowed on site. You are welcome to bring your own Wedding Cake or Whole Cheeses as a wedding cake ONLY. Please speak to your chosen caterers as they may be able to supply one for you. We ask people to be respectful of our venue, particularly the oak beams, and Cotswold Stone walls. Unfortunately we do not permit nails, glue, staple guns. Can we have outdoor games on the lawn? You are welcome to bring lawn games to keep the young (and young at heart) guests amused. We ask that you use lawn 2 for these as the lawn in front of the barn is used solely for drinks reception. Please be mindful of the beautiful gardens if bringing footballs. Can we have BBQ or Hog Roast? All food on the day of the wedding must be provided by one of our 4 caterers, both day and evening food all of which offer BBQ and hog roast. If you are planning to have a BBQ the day before and the day after the wedding please discuss ideas with the office as we have functions on the surrounding days.